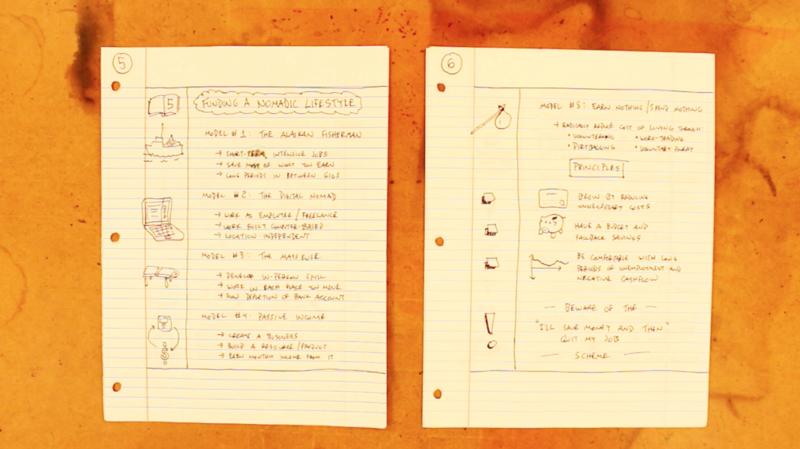 If you were taught a particular note-taking process while in school, chances are you learned the Cornell method. While I’ve got no beef with Cornell, I do see room for improvement. 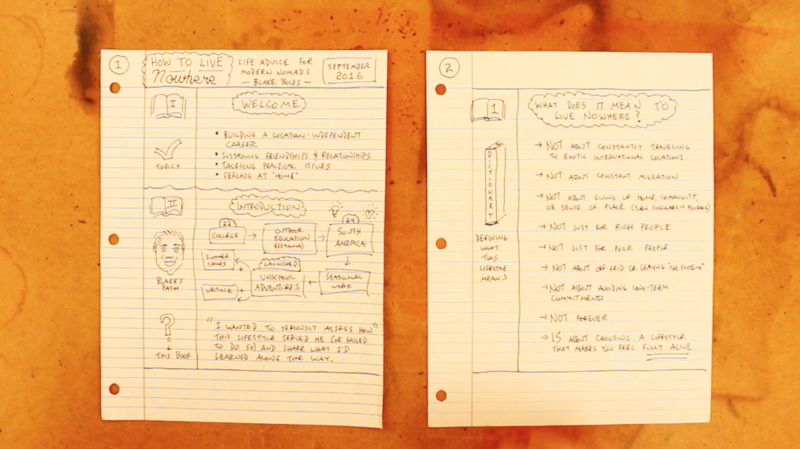 Let’s see if we can make Cornell notes a bit more effective and a bit more visual by adding in some sketchnoting techniques. You start by writing a large and off-balance “I” to split the page into four sections. Up top is the space where you write the topic of your notes, your name, the date, etc. In the large section in the middle you take in-the-moment notes from the lecture you’re listening to, the video you’re watching, or the book you’re reading. Once you’ve finished the lecture, video, or chapter, you use the thinner section on the left to pull out key ideas – important names, dates, and other facts that you deem to be the most important. Finally, in the bottom section you summarize the ideas on that page in a few sentences. Up top you could add a topical sketch in addition to the title, and maybe even sketch out a quick calendar for the date. Those visual references will make it easier to see what those notes are all about when you’re flipping through them later. Within the main section of your notes (those you take in the moment), give yourself the freedom to deviate from text-only notes. 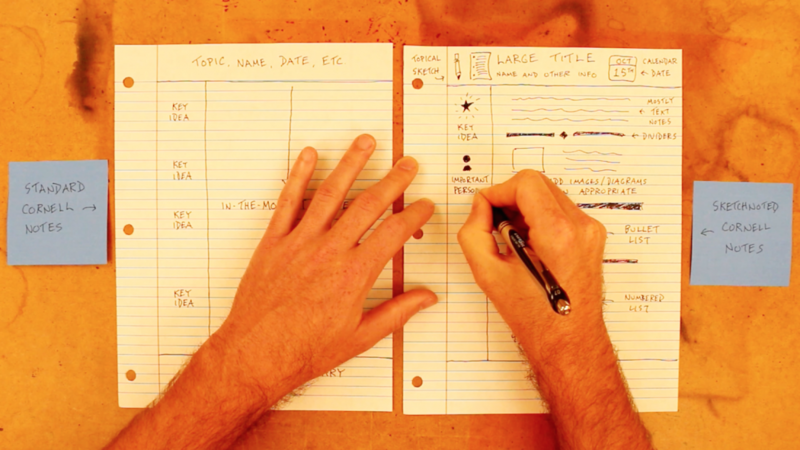 Add a drawing or a diagram when possible, or make bulleted and numbered lists when that makes sense. The purpose here is to engage with the ideas you’re capturing in a deeper way by thinking about how to organize and express those ideas both visually and verbally. As you pull out key ideas in the section on the left, consider adding icons that will make the notes easier to review in the future. In a previous video I shared the icons I use while taking notes in the margins of the books that I read. Feel free to use those as a starting point, and then try adding a custom set of icons that you develop for yourself, a set that’s more directly tailored to the subject you’re studying. Within the bottom section, see if you can summarize the notes on that page using a mind-map or by drawing out a scene representative of the major ideas. When you take the time to synthesize the ideas on the page with visuals instead of just words, you’re more likely to see the connections between the variety of ideas that you’ve been working with. 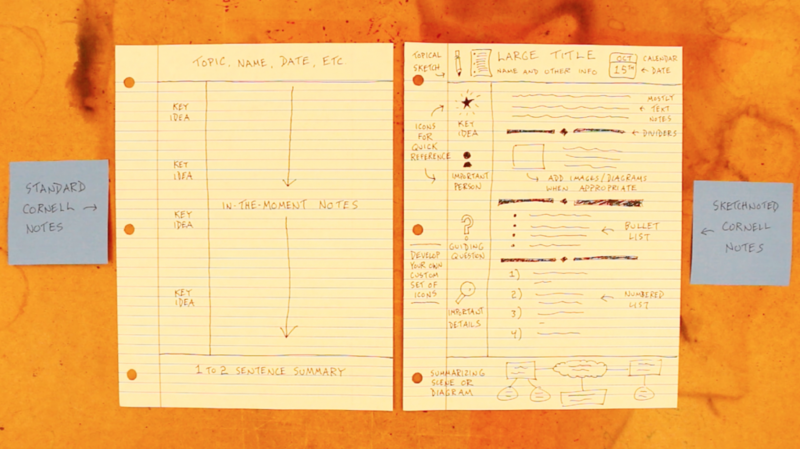 Now it’s time to give this note-taking technique a try for yourself! 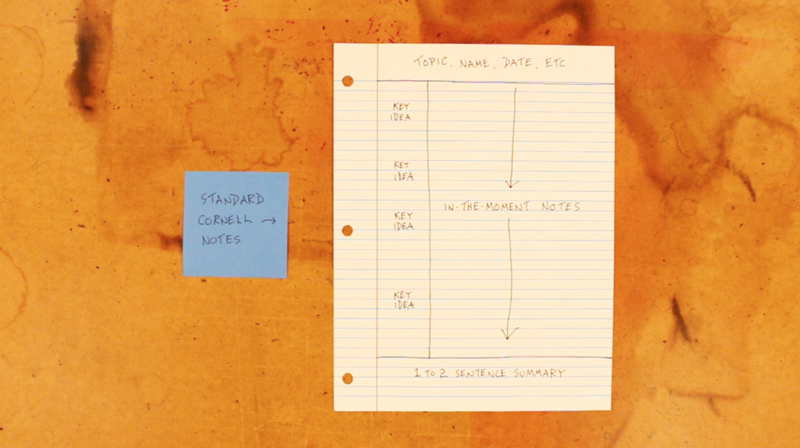 Use the ideas I’ve shared here as a starting point, and then keep experimenting with new additions to the Cornell note-taking method so that the process is tailored to your style and effective in helping you to reach your learning goals. 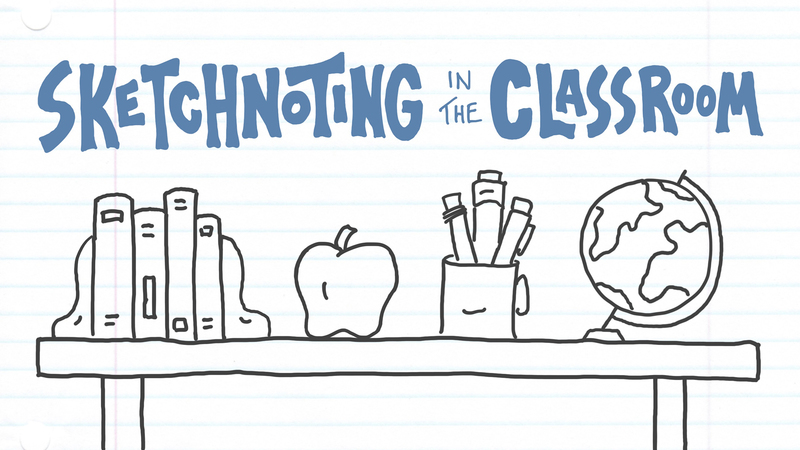 There you’ll find video lessons and activities to help your students explore this dynamic way of working with ideas.